"A website designed for the sole purpose of providing security jobs for security people". Jobs For Security was created in partnership with the UK Security Directory to fulfil a need to provide a security specific website solely aimed at connecting security professionals with employers within the security industry. "Find A Job" page you will find an easy navigate list of available security jobs. Simply select the jobs that you desire and click apply. You'll either be directed to the website that the security job is advertised on or will be allowed to apply through our website. The process, is quick and simple, and because our website is managed by active security operatives you can rest assured that the only content and jobs featured on here will be security related. To find your ideal job within the security industry, visit our jobs page HERE. Jobs For Security was established early 2014 as an addition to the UK Security Directory. 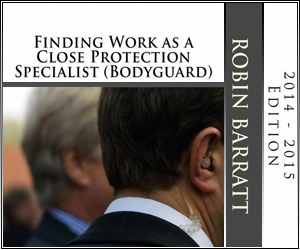 Both websites are managed by an actively employed security operative who specialises in Close Protection and Security and Risk Management. This website was created solely to allow one place for security operatives to come to source security jobs, and because Jobs For Security is focused on the security industry, you won't have to trawl through hundreds of irrelevant jobs in irrelevant industries. Find out more about Jobs For Security.